The saying that nothing is impossible applies to real life scenarios as much as it applies to the world of cryptocurrency; especially the trading market. 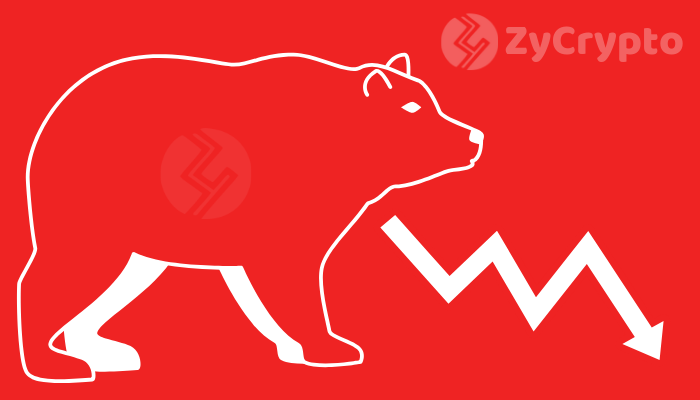 While price movements can be backed by analysis from time to time, it is nearly impossible to predict the next trading price for tokens. 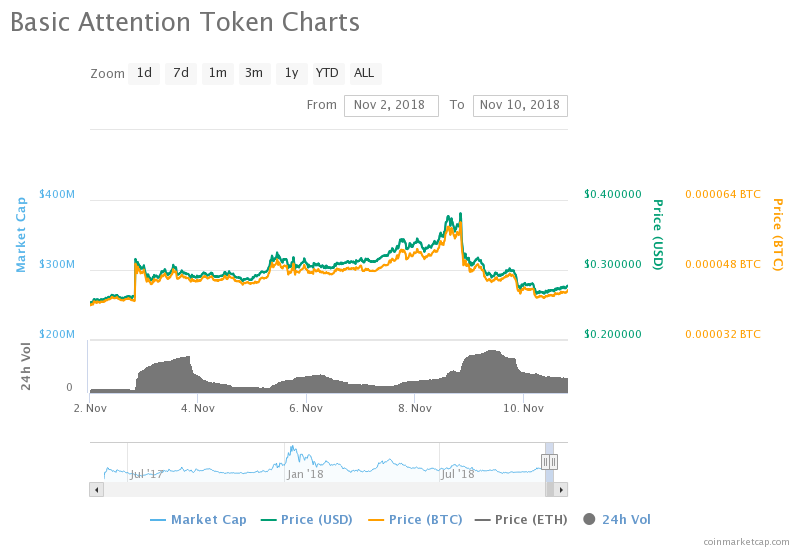 Only eight days ago, the Basic Attention Token had held its spot as the world’s 29th largest cryptocurrency according to rankings on coinmarketcap, today the token has fallen down twice below that mark to now become the 30th largest cryptocurrency and is struggling to maintain that spot by a small margin against Zilliqa token. On the 2nd of November, BAT was listed on Coinbase’s order-book CoinbasePro. About five minutes after the token’s listing on CoinbasePro, BAT was trading at $0.316637 as the 29th token, right above Lisk token and below Ontology token. In nine minutes time the token switched places with Lisk token, moving right below it to sit at a trading price of $0.297703, the 30th position, in which time its market capitalization went from $316.6 million to $297.7 million. Following its PRO, Coinbase.com went on to list BAT on its platform on the 8th of November, a move which traders had been anticipating since the 13th of July when the exchange teased a possible listing amongst four other tokens; the announcement had skyrocketed the token to 27% higher than its initial trading price. Within the next eleven days, BAT jumped to 3 months high of $0.45. However, the book reads an entirely different story as the token had fallen by 23% upon Coinbase’s listing, bringing its price down to $0.30 from its all-time high of $0.39. As of writing, BAT is still struggling to maintain its spot with a trading price of $0.275611. Can Blockchain Transform Loyalty in the Food Service Industry?